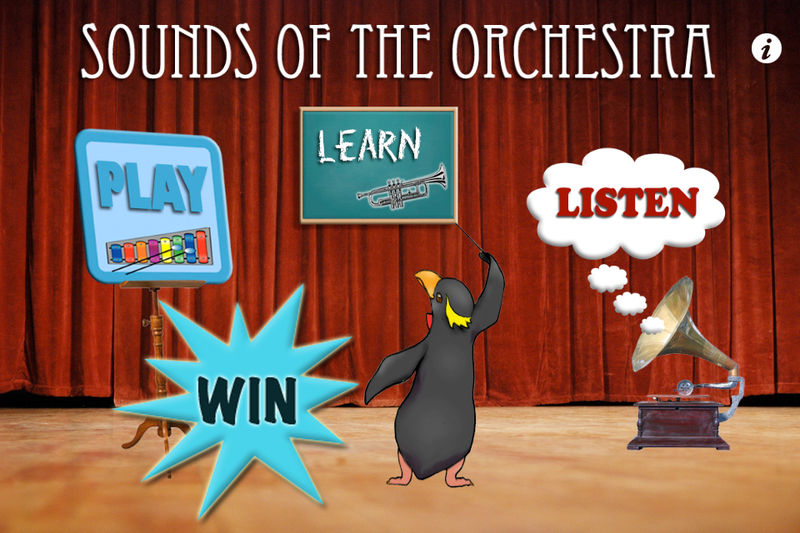 AppAdvice has once again teamed up with Smappsoft in order to offer you a chance to win one of five (5) promo codes for Sounds Of The Orchestra for iPad, iPhone, and iPod touch ($1.99). 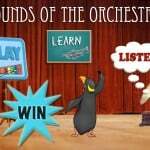 Sounds Of The Orchestra is a combination learning and entertainment tool designed for nearly any age. 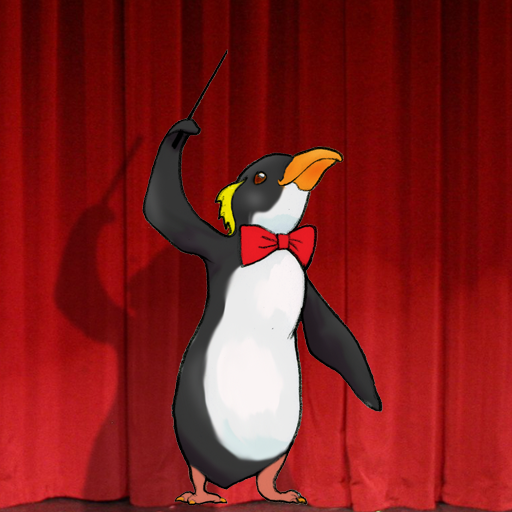 Smappsoft has taken the chore of learning basic instruments related to a symphony orchestra and made it into a simple but fun experience. 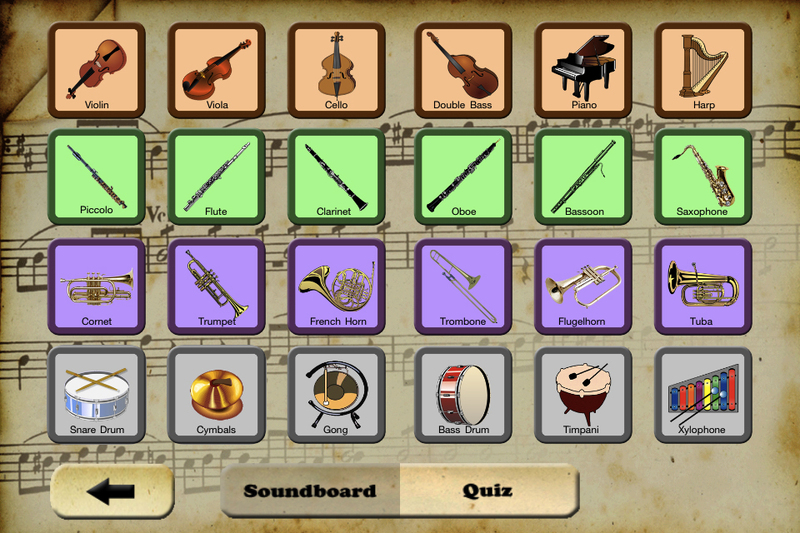 The Learn section shows a general layout of the instruments and color codes each section. Tapping on a section will show the instruments contained within: brass, percussion, string, and woodwind. Tapping on one of those instruments will display an image and a brief description. There's even a brief description of the principal conductor of an orchestra. Next up is the Listen section. 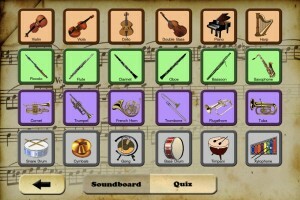 The Soundboard portion allows a person to become familiar with the general sound of a particular instrument by just tapping on it to hear a short musical clip. Make your way to the Quiz area, where you'll be provided a sound clip and need to tap on the instrument that created it. There's no scoring, it's just to test yourself. The personal strive for perfection is the driving force. Finally, take time to play a match game with this newly acquired knowledge. Go to the Play section to start a solo picture and sound match game to test yourself, or compete against up to three others. Two gameplay levels -- 12 or 24 cards -- let things start off easy and move to something a tad more difficult. Match two cards with the same instrument and associated musical clip. With more than one player, getting a correct answer maintains control and a wrong answer moves the turn to the next player. No leaderboards and no high scores makes for a "just for fun" type of gameplay. The app is easy and simple enough to use with nearly any age and in a personal or educational environment. To have a chance at winning one of two Sounds Of The Orchestra promo codes, simply hit that blue tweet button near the bottom of this page or retweet this post from your favorite Twitter app before 11:59 PM PDT tonight (November 11th). We will then search the Twitterverse for all of the retweets and randomly choose our lucky winners. The winners will be notified via Twitter, so please be sure to follow us so we can send you your promo code via a direct message. Non-Twitter users and those of you who want to increase your odds of winning can simply leave a relevant comment below before 11:59 PM PDT tonight to have a chance at winning one of the other three Sounds Of The Orchestra promo codes. Feel free to participate in the giveaway via either or both methods. Only one entry per person per method is allowed, totaling up to two entries per person if using both. This giveaway is only open to U.S. iTunes account users.